Waterkloof Estate is an exquisite working wine farm that offers tailor-made wedding venue packages for your unique and unforgettable wedding. Perched on the slopes of a mountain overlooking the ocean, this wedding venue boasts some of the most idyllic views in the Cape area. Elegance, personal service, decadence and luxury go hand in hand with this beautiful wine farm and wedding venue. Waterkloof Wine Estate is a 45 minute drive from Cape Town city centre and a 35 minute drive from Cape Town International Airport. The incredibly stylish reception area that also functions as Waterkloofs signature “Restaurant in the Sky” is a space that features a 10 metre high, glass outcrop that flows out from the sophisticated wine tasting lounge and gravitational cellar. The restaurant is set against the backdrop of Waterkloof’s bio-dynamically farmed vineyards and the full span of False Bay lies in the distance. This truly is the most majestic setting to celebrate your wedding vows and is a wedding venue that dreams are made of. Our professional and experienced team are able to provide you with all the support and guidance you need to make sure your wedding day is indeed your perfect day. We are passionate about creating an experience that is unique and wonderful for you, one where your guests feel welcomed and warm and one where you are relaxed and deliriously happy. Every wedding we produce is as special to us as it is to you and everyone is as unique as the couple themselves. 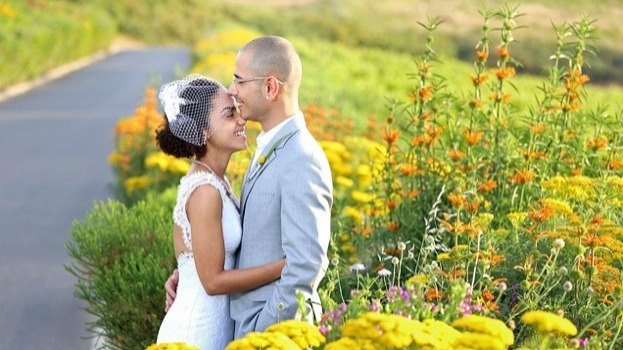 Waterkloof is truly one of the most awe-inspiring wedding venues in the Cape Winelands. Just a stone’s throw from Cape Town and Stellenbosch, you are sure to experience a wedding venue with untold style and unique offerings. Wedding ceremonies can either be hosted in the magnificent Barrel Room, where guests are surrounded by the gorgeously wooden working wine barrels, or outside on the lawn overlooking the bio-dynamic farm activities and splendid mountain views. Our world-renowned Chef creates dishes made only with the finest local seasonal produce. These unique dining experiences reveal the ultimate combination of taste, texture and flavour to complement wine with a naturalist approach. Menus for your wedding reception will change according to the season, as we work with fresh, locally sourced produce. Once you have chosen us as your desired wedding venue, we will set up a meeting with the Chef to discuss your catering requirements and ideal menu. We currently offer a 2-course and 3-course set menu, whilst a royal canapé selection is also available. Waterkloof is a biodynamic wine estate and works in harmony with nature to craft wines of vitality, individuality and sustainability. We marry our elegant wines with sophisticated contemporary classics for an elevated food and wine experience. Waterkloof currently produces four wine collections: our flagship Waterkloof range; the Circle of Life Red and White duo; the elegantly expressive site specific Circumstance range and our Seriously Cool range. At Waterkloof, wedding couples can celebrate with up to 120 seated guests and provides a spectacular wedding venue for a chic ceremony and reception in one place. Wooden benches with off-white cushions are available for the wedding ceremony in our barrel room (120 guests) or outside on the lawn (60 guests) and the lawn is also the perfect spot for pre-drinks before the reception gets underway. Our wine barrels are available for use as decor inside the barrel room or as cocktail tables outside, alongside our mobile wooden bar. Let us design and organise your wedding, one that is tailor-made just for you. At Waterkloof you are always in good hands. Lara & Johan love story from Boy Meets Girl Wedding Cinema on Vimeo. For a tailor-made package to suit your function, contact Waterkloof Estate at Tel: +27 21 858 1491 or send an email to restaurant@waterkloofwines.co.za. The beautiful bride from one of our recent gorgeous weddings shares a few memories of her special day with her Prince Charming on 22 November. The beautiful bride from one of our recent gorgeous weddings shares a few memories of her special day with her Prince Charming on 29 November. Lara & Johan’s magical winelands wedding at Waterkloof, photographed by Cheryl McEwan Photography, is featured in the spring edition of Wedding Inspirations magazine! The beautiful bride from one of our recent gorgeous weddings shares a few memories of her special day with her Prince Charming on 30 November 2013. Karmen, one of our gorgeous April brides, hails from Johannesburg but has been living and working in Australia for the last couple of years.